(CNN) President Donald Trump’s repeated complaints about rising interest rates appear to be having no impact on policy so far. “This gradual approach would balance the risk of tightening monetary policy too quickly, which could lead to an abrupt slowing in the economy and inflation moving below the committee’s objective,” according to minutes of the Federal Reserve Open Market Committee meeting released Wednesday. Last month,central bankers unanimously agreed to raise rates by yet another quarter percentage point, to a range of 2% and 2.5% citing a strengthening economy and low unemployment. The rate helps determine what consumers pay on their mortgages, credit cards and other borrowing. The Fed has been in a unique position of trying to play “tennis when you are at the center of the court” as New York Federal Reserve President John Williams described it last week at a central banking conference on the sidelines of the International Monetary Fund’s annual meeting in Bali, Indonesia. The Fed is contending with how to manage one of the longest economic expansions on record without triggering a recession. Unemployment is near a 49-year low. Inflation is finally picking up to the level central bankers consider healthy for the economy. They are carefully trying to keep the economy on even keel all while keeping a watchful eye on possible inflation risks that might be brought about after last year’s injection of fiscal stimulus through tax cuts and a massive spending bill. Policy makers debated at last month’s meeting how restrictive policy would need to be in the future with “a few” participants arguing that additional rate hikes may be necessary “for a time,” while others would need to see clear signs of the economy overheating before taking further action. For now, policy makers have raised expectations for a fourth rate hike this year, with a majority now in favor of such a move. They signaled they see at least three more rate hikes as necessary in 2019. Trump’s concern is that a steady march of rate hikes will serve to the slow economy down just as the administration is nearing its goal of 3% economic growth this year. The president has vehemently expressed his displeasure on multiple occasions. It’s rare for a president to break a long-standing White House decision of weighing in on the Fed’s policies to avoid any appearance of political interference. But that hasn’t stopped the president from repeatedly blasting his Fed chairman, and going so far as to blame rising interest rates for last week’s deep market rout. “The Fed is going loco and there’s no reason for them to do it and I’m not happy about it,” the president told Fox News in an interview last week. A spokeswoman for the Fed declined to comment on the president’s latest remarks. 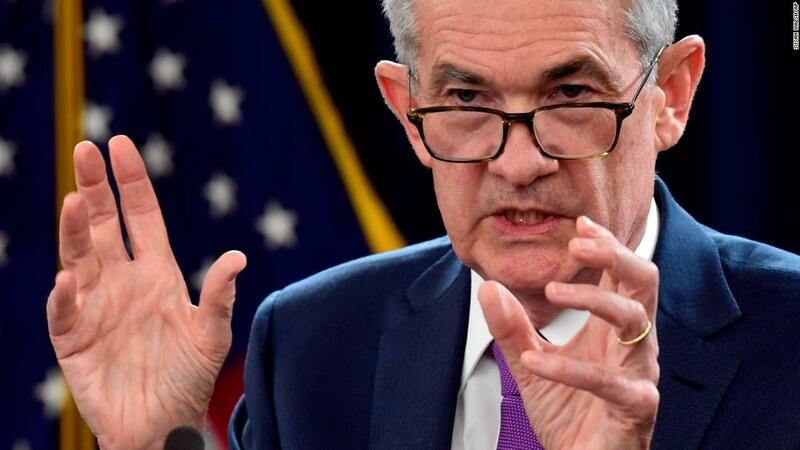 When asked earlier this month about the president’s comments, Powell shrugged them off, noting he’s focused on the task at hand: keeping the economy steady. Powell’s predecessor, Janet Yellen, defended his performance in remarks Monday at a mortgage bankers conference in Washington. Former Federal Reserve governor Randall Kroszner said recent criticism by Trump of the Fed would do little to dissuade the central bank from pursing policies as it sees fit for the economy. “It has a long history of Fed governors ignoring what a president says, and I think this is likely to be the case here,” said Kroszner, now an economics professor at the University of Chicago Booth School of Business at an international banking conference in Bali last week.